So here is my second ever pattern! It’s a baby hat, shown here made from DK with a 5mm hook. work in the round, do not join or ch up. 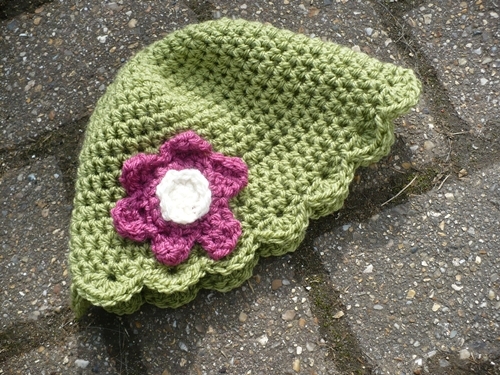 The pattern for the flower shown above is listed on the last baby hat, here! Click on the pictures to see the posts!